Sandi Woo & Eddie Mailer. Photo: Leon Mead. Being a dancer isn't the only way to engage with the dance profession. In the October/November issue of Dance Australia, Nina Levy has put together a Careers Special that focuses on the many different careers available for dancers who want to work off-stage. The Careers Special includes profiles of dance-trained professionals working in a range of jobs, from Pilates instructor to performance psychologist. 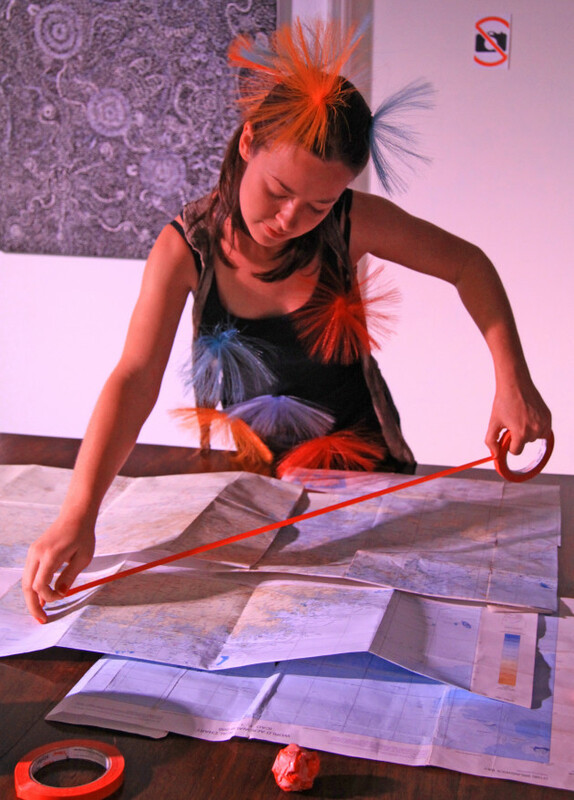 As well as the individuals featured in the magazine we have some bonus online interviews, including Sandi Woo, a Brisbane-based creative producer, choreographer and teacher. Dancer Nicole Barnes in Gallery Moves presented as part of Shinju Matsuri 2012. Photo: Abigail Workman. Woo also refers to herself as a creative producer, which involves working on a variety of projects, she says. “Sometimes people come to me with their ideas and ask me to help them see out the vision. For example I’m working with Annette Carmichael in WA on her next project and will hopefully work with her for the next few years as it has a multi-year timeline. Mostly I am a creative producer to help sustain my own arts practice and my practice being a community artist using contemporary dance to engage. I love thinking and cooking up ideas who you can engage people using dance and movement. There’s always a number of ideas brewing in my mind. It’s sometimes hard to keep all the possibilities in the realm of ‘doable reality’. “But I also work for organisations too. When I was in Broome, I was lucky enough to work as company manager for Marrugeku for two years. That was an amazing time, where I was able to assist in the development of Cut the Sky, tour manage a European tour of Guddir Gudirr and help manage the company from Broome in collaboration with the company’s Sydney office. “Just recently I added yet another strand as I started tutoring at Queensland University of Technology (QUT) for a foundation unit of the Bachelor of Creative Industries faculty. That’s been a pretty surreal experience as it’s been a long, long looooong time since I have been at university. I graduated in 1996! However the lecturers are fabulous and there’s an amazing bunch of tutors for the unit so it’s felt like a great addition. And what does being a Creative Producer involve? 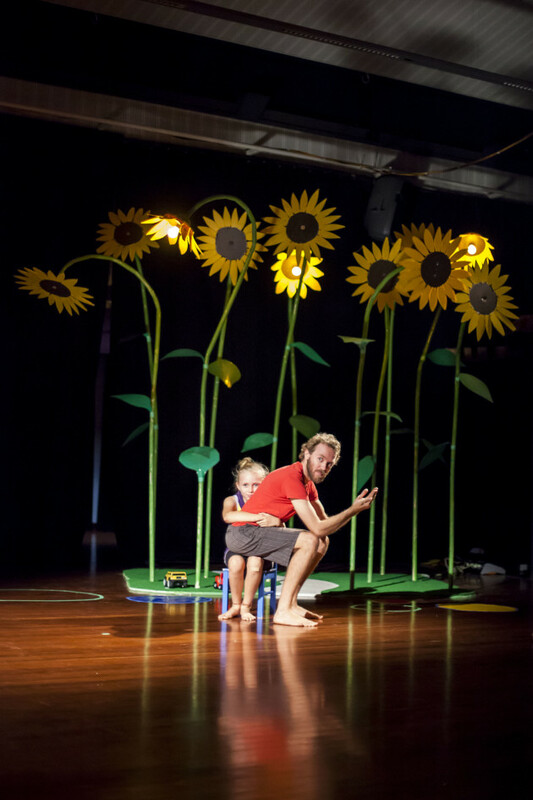 Tully McDonald and Ben Collins in 'Because of You...' for Ausdance WA Future Landings 2013, Broome WA. Photo: Eddie Tran. “Maybe a good way to put it is ‘what doesn’t it involve?’ replies Woo with a laugh. “It involves planning, consulting, collaboration, finding opportunities, identifying and working with delivery partners and writing a heap of grant applications. The focus of the role really can differ from project to project – and can depend on who you work with and the strengths and skills they have – but it is really the key person that drives a project. They are the person that keeps things ticking along – financials, contracts, reporting, scheduling, travel bookings. It generally involves you having to be very organized! “The ‘creative’ part for me means that you sit at the table as an equal in terms of the creative team – that your input is something that is equal and that has a shared responsibility to the final outcome. And in order to do that you need a pretty good knowledge of the creative processes involved and how the creative team might see the project and work together. As all “slashies” know, there are pros and cons to a multi-stranded or portfolio career.“For the past few years it’s been important to have something in my work life that is relatively flexible, says Woo. “I wanted to be around and present for my two boys as they went from toddlers, to preschoolers and into primary school and working from home has been great for that. Yes it has few challenges. For example, it can be problematic trying to send of drafts of grant applications quickly while the boys are on the toilet! And you have to be really disciplined not to check emails and the like while at the dinner table. Early on, when they were babies, it became pretty stressful trying to squeeze work in while they slept – especially when their sleeping routines shifted! And mostly you want to sleep when they do and feel like crawling into bed after you’ve put them to bed at night too. So we decided to enrol them in daycare a few days a week when we felt they were old enough. That was the best solution and it really took the pressure off the home environment. “One of the perks of being able to dabble in different areas means there’s always lots of variety. Different artists, different participants, different partner organisations and different deliverables and objectives – which is great for someone that gets a bit bored if things get too repetitive. So to some degree, you can tailor your work life a bit. “The timing of projects and looking at the peaks and troughs of workload can be an ongoing challenge. Keeping enough projects ‘on the go’ to ensure you get paid for the work you are doing is also tough. So much work goes in before grant money can be applied for (and secured) – so there’s a heap of unpaid hours you clock up before you kick start a project. Woo says that she often thinks about the costs and benefits of a portfolio career and believes it's healthy for slashies to question their choices on a regular basis. "For me personally, the times that it felt my portfolio career was working the best was when I've had a part time paid job that was really rewarding and that had income regularity and consistency and that security allowed me to be more creative and flexible with the other part of my working week," she remarks. "Of course I’m not the primary bread winner in our family – so I have that added financial support which is a very lucky position to be in. "I also think it gets hard when you are juggling more than three portfolio careers – of course it depends on the contact hours that each requires but often it can be distracting to be juggling too many things at once. Managing the competing priorities can lead to lots of stress and sometimes if it gets really crazy - things can start to fall through the cracks. 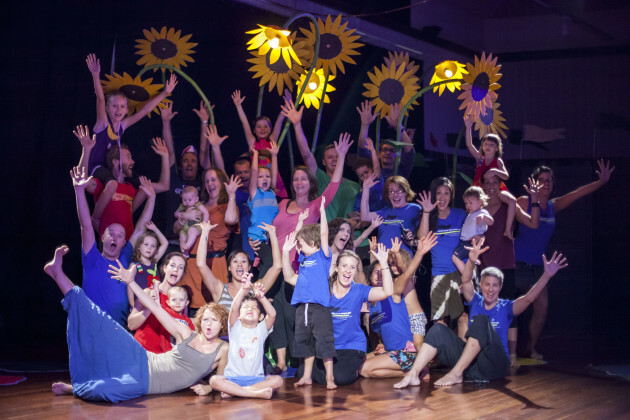 Of course in the arts we are used to production week madness and all that comes with that kind of workload – but you have to be careful not to run them into each other so you leave some energy for yourself and your family and friends. “I read once that you should choose an industry and stick with that particular industry – move about doing as many jobs within that industry but stick to the same industry. So I guess that is true of my working history so far. I chose the arts. It’s impossible to think of working in any other sector. It’s such an important part of life and giving people access and opportunities to engage in the creative process is really important to me. That will never shift and there are so many different opportunities to fulfill that objective that I think that specific goal will sustain me for a long long time. Top photo: Sandi Woo and Eddie Mailer photographed by Leon Mead. We have lots more profiles in the 2016 Careers Special, in the October/November issue of Dance Australia... out now! 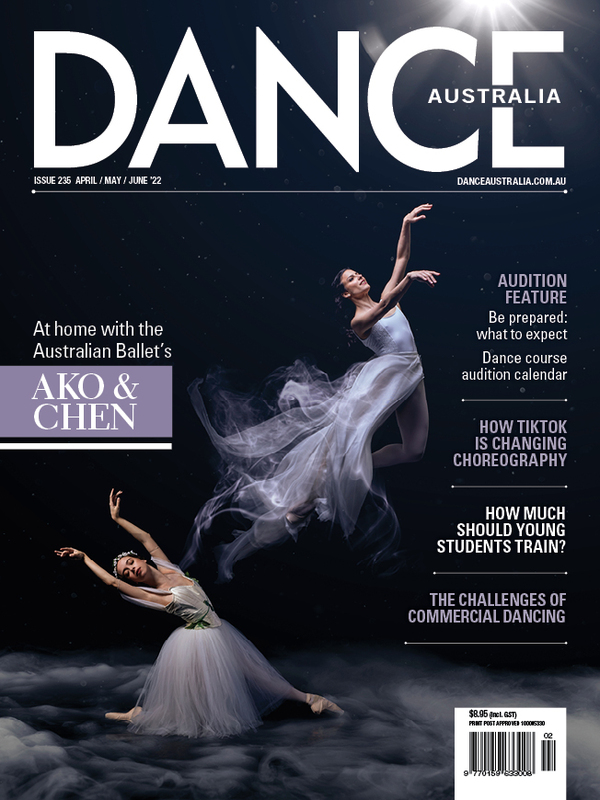 Our Careers Special is packed with ideas for dance-related careers... Buy Dance Australia at your favourite magazine retailer or subscribe here, or purchase an online copy via the Dance Australia app.